Extensity 1-1/2 Inch (38mm) LGTH Knob - Satin Nickel The Amerock BP29398G10 Extensity 1-1/2in(38mm) LGTH Knob is finished in Satin Nickel. Extensity features beveled curves and a stately arc. The classic Satin Nickel finish provides a sleek, lightly brushed, warm grey metallic look. 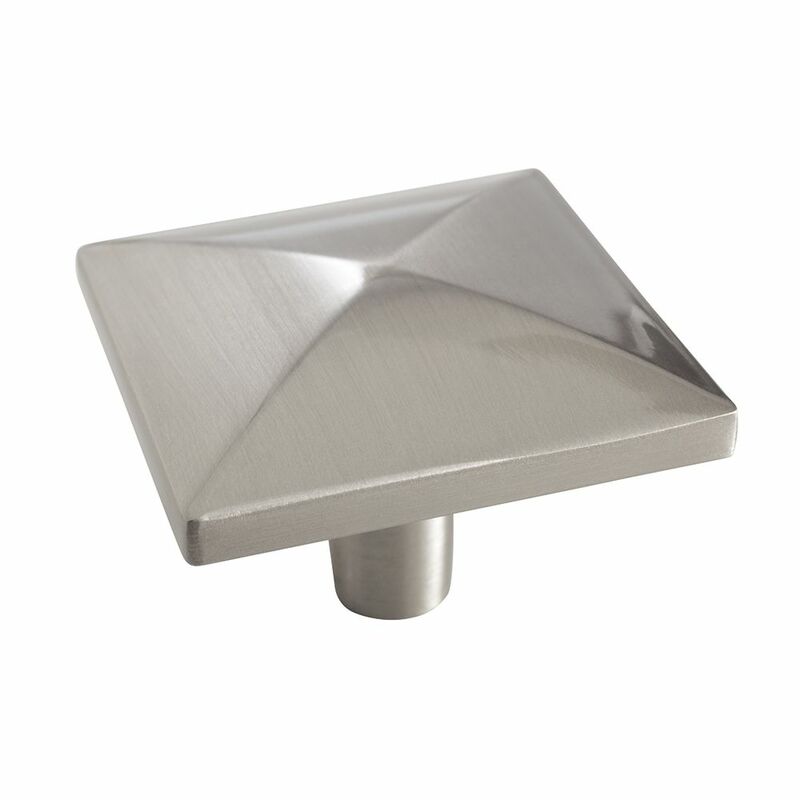 Extensity 1-1/2 Inch (38mm) LGTH Knob - Satin Nickel is rated 3.0 out of 5 by 1. Rated 3 out of 5 by Ann from It was fine in quality and shape. Just too big.... It was fine in quality and shape. Just too big. We found what we needed at your competition.